Since Lego are the building blocks of a child’s imagination (in the most literal sense), it doesn’t surprise us that the ubiquitous bricks find a useful application in daily computing. Simply put, if you were reared on Lego, you’ll forever have a soft spot for the brand. 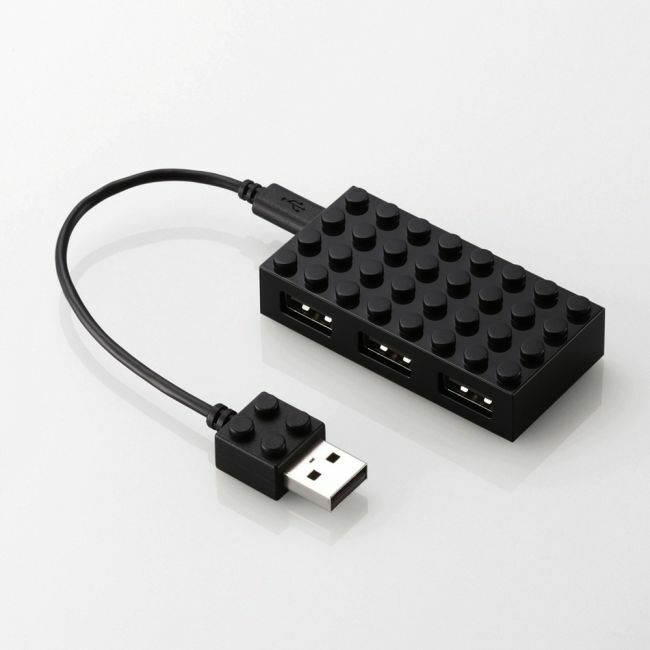 This plays right into Elecom’s hands, a company that wished to combine creativity and usefulness when they unveiled this new line of USBs encased in Lego bricks. True to the Lego spirit, these USBs and their attendant ports can be stacked together. Just don’t use your teeth when undoing them. You might damage the gadget. These latest from Elecom is the perfect PC accessory for DIYers who’ve put in the effort to build Lego casemods. One last bit–these are USb2.0 ports. Lego fans pay attention! With the success of the Elecom Sundries Earphone that featured Lego looking earphones, the new ToyBrick is the same idea except made as a 4-port USB hub. Each USB connection is corresponded with the USB2.0 high speed mode. The hub is bus-powered, and does not require an AC adaptor. And check this, the USB hubs are stackable too!